Professional guidance is invaluable when it comes to setting a stage and calculating just how much sound equipment you really need. It isn’t difficult to turn a regular celebration into a spectacular production! Adding the right kind of lighting in the right place can make all the difference without breaking the bank. Let’s discuss your ideas and we’ll combine them with our expertise for a one of a kind design. 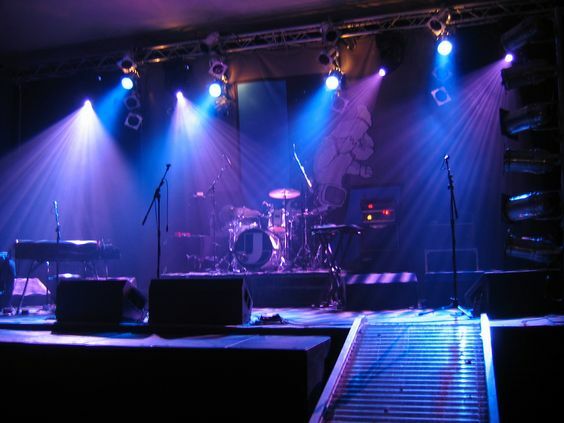 If you are having entertainment come in from out of town for your concert, conference or wedding reception, chances are the Artist or band may have a “rider” which specifies the provision of certain professional musical gear. Just ONE CALL to our entertainment consultants and we can assist you with the task of providing any musical instrument. Our backline division carries all the top brands for any type of amplifier, music stand or equipment you may need. You and your committee have been given the daunting task to organize an award ceremony or outdoor picnic for your company or non-profit. The responsibilities have become overwhelming, and quite frankly, you don’t know where to begin. Our team of experts will come to your rescue! Having been credited with producing some of the most successful festivals and events in San Antonio, we can assist you with the smallest or largest venture.